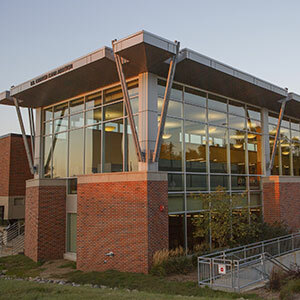 Theses and dissertations completed by students of University of Nebraska at Omaha graduate programs are collected and maintained by Criss Library. Honor's Theses, Writer's Workshop Theses (M.F.A. ), Creative Theses (M.F.A.) are available in print only, with one copy available for checkout in the third floor circulating collection and one archival copy in Archives & Special Collections. Creative Theses (M.F.A.) are available in print only, and at the request of the Creative Writing Department the only copy available is in Archives & Special Collections. Masters and Educational Specialists and Doctoral Dissertations are available full-text open access via DigitalCommons@UNO or via the subscription database ProQuest Dissertations and Theses Global as well as in print from Archives & Special Collections, which is located on the first floor of the library. Below you will find information for submitting your thesis or dissertation. All UNO theses and dissertations for masters, educational specialist or doctoral degrees are submitted electronically. Refer to the Graduate Studies Thesis Guide for specific guidelines. A separate copy of your title page. Two copies of your thesis for the library, an archive copy and a circulating copy. Each copy must be submitted in its own envelope. The archive copy is a permanent, non-circulating master copy which must be submitted on 20 lb. bond paper and have original acceptance signatures. Illustrations, graphs, etc. must be original. Optional: Any number of department, advisor, and personal copies may be included for binding at $9.00 each. Please follow departmental guidelines. Copies will be picked up from the Writer's Workshop office. The library will accept copies only at the time of original submission. Bindery shipments are sent out once a month and returned the following month so it may take two months or more to receive personal copies. One (1) copy of your thesis for the library archives, one (1) departmental copy, and one personal copy (if desired). If more personal copies are desired, please contact the Writer's Workshop. The archive copies are permanent, non-circulating master copies, which must be submitted on 20 lb. bond paper and have original acceptance signatures. Illustrations, graphs, etc. must be original. Honors theses are submitted online to the University Honors Program. Optional: Any number of department, advisor, and personal copies may be included for binding at $9.00 each. Please follow departmental guidelines. Copies will be picked up from the Honor’s Office. The library will accept copies only at the time of original submission. Bindery shipments are sent out once a month and returned the following month so it may take two months or more to receive personal or departmental copies.